Knob-and-tube wiring (sometimes called “K&T wiring”) was one of the earliest standardized methods for installing electrical wiring in buildings. It was commonly used to wire buildings in the US from the 1880s to the 1940s. Today, knob-and-tube wiring is considered an outdated and potentially hazardous system of electrical wiring. Unfortunately, it’s still surprisingly common in homes and businesses in the Minneapolis-St. Paul metro area. Many old buildings in Minneapolis and St. Paul may still use knob-and-tube electrical wiring. Virtually any knob-and-tube wiring still in use today isn’t up to modern electrical safety standards. Even if it hasn’t before, it’s only a matter of time before old wiring starts making trouble for you. It’s also simply not as efficient or effective as contemporary wiring solutions! Here’s what you should know about your knob-and-tube wiring, including why you should count on Early Bird to replace it for you. In knob-and-tube wiring, electrical wires wind around and run between a series of ceramic knobs. Electrician affixed these knobs throughout the structure to support the wiring as it ran to each connected device. Whenever wiring has to move through a wall, it passes through a hollow ceramic tube installed through that wall via a drillhole. Installers may insulate parts of the wiring with rubber or a flexible cloth sleeve called loom. Unlike contemporary wiring systems, knob-and-tube systems run black “hot” supply wires and white neutral return wiring separately. They’re also ungrounded, which can make them a serious safety hazard. Rogue voltage danger: Knob-and-tube systems are ungrounded, which means there’s no protection when faults occur. Excess voltage may arc out of outlets and devices, which is a serious safety hazard. Insulation wear-and-tear: The rubber insulation used in knob-and-tube wiring may become brittle and break or wear out, especially with age. Cloth insulation is a fire hazard. Susceptibility to damage or degradation: Old components degrade and break down over time. If any of the parts to your system break, it could be a serious problem–or even a safety hazard. Modern systems are much more resilient. Fewer circuits: Obviously, we use electricity for a lot more now than we did in the 1880s. Older systems often don’t have enough wired circuits to support contemporary usage. Not enough power: Knob-and-tube systems use 60 amp service panels. 60 amps is usually an insufficient amount of power for contemporary homes. Retrofitting or modification concerns: Many older homes have modified knob-and-tube systems to attempt to make them keep up with increased electrical demands. This can deal to serious problems, especially if the modifications were performed by non-professionals. Difficult to maintain or repair: Knob-and-tube wiring systems are more complicated than contemporary systems, and are harder to maintain or repair. If your building still uses knob-and-tube wiring, we recommend rewiring to update to a modern system immediately. Modern wiring is much safer, more efficient, and much lower maintenance. Important safety features such as grounding, fault protection, GFCI outlets, and circuit breakers are much easier to install in contemporary systems, too. Replacing your old wiring will even substantially increase your property’s value! Re-wiring a structure is a major project that requires expert assistance. If you decide you need to replace your knob-and-tube wiring, you can call EarlyBird for help any time. Our licensed experts have all the experience and tools we need to complete any size of rewiring project. We’ll bring your home up to safety and efficiency codes right the first time–guaranteed. 1. Same-day service. If we’re not there to help the same-day you call, you don’t pay a travel fee. 2. No surprise pricing. We get your approval on pricing before we do any work. We’ll never blindside you with unexpected costs. 3. Consistent, quality work. Early Bird’s technicians are local certified experts with years of experience. We’re proud of our reputation for quality and excited to prove why we earned it. 4. Safety and security, guaranteed. 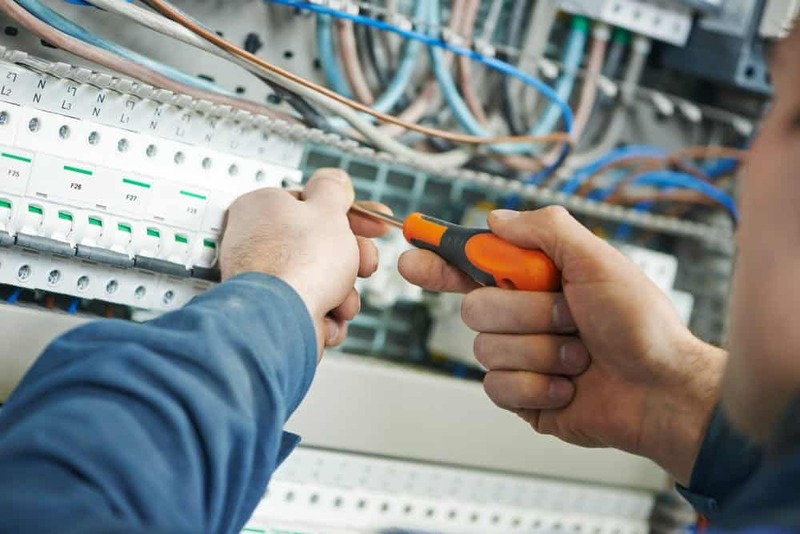 Our electricians are licensed and pass stringent background checks. You can rest assured the work we do is high-quality and safe. Every time.